You’ll leave Precious Previews feeling beautifully rejuvenated. Most Mums-to-be miss lying on their tummy as their pregnancy progresses. Our massage tables have a supportive hole, to cushion your whole body while we work our magic. Of course, if you feel more comfortable lying on your side, we’ll ensure you are completely relaxed and supported. As a new mum, you need all your energy. 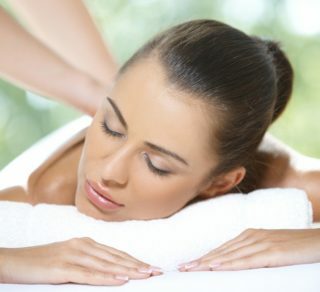 Let us nurture your mind and body with a massage designed to ease away any tension or muscular pain. We’ll pamper you in total relaxation, so you feel energised to really enjoy the wonderful gift of motherhood! Your body undergoes so much change during a pregnancy. Our qualified remedial massage therapists are specially trained in prenatal, induction and postnatal massage therapy. Indulge in some well-deserved time out, as we soothe any aches, tension or swelling. We recommended that pregnancy massage treatment only begins after the first trimester. Our massage therapists will consult with you about any conditions or problems during your pregnancy as certain factors will determine whether massage is suitable or not. What is a Natural Labour Induction Massage? If you pass your due date or booked in to be induced, there are various things you can do to naturally encourage labour. Our Induction massages have been a successful way to help mums in the very later weeks of their pregnancy prepare and possibly go into labour naturally. There are several or more points on the body that can help assist if you are overdue or your body is struggling to make this happen. In some cases you’re not quite ready; our therapists will help you focus on this during your visit. An Induction massage can be initiated from 38 weeks onwards this is an excellent time as your body will be preparing for your baby. This particular massage technique will also help ease pain and prepare your mind and body for labour and child birth. Induction massage can be an effective way to induce labour “naturally” also helping regulate contractions for mum to be. The pressure points used during your massage treatment stimulate and relax your muscles. We only need to use a light to medium yet comfortable pressure. The most common points used during your Induction massage are found in the mid back, legs, hands and feet. These particular points are called induction points it is important the therapist incorporates these methods during your massage with us as your body has natural hormone that can be enhanced to bring labour closer. It is important we remember are bodies can be different individually and we may not always get a quick and straight response to the treatment; if this is the case talk to your therapist regarding a follow up appointment if necessary. A relaxed body and calm state of mind towards delivery is beneficial to both mother and baby. The body of a new mother is subject to enormous strain, stress and sleeplessness. Your new routine will now include carrying the baby bag, placing baby on your hip, bending over to change nappies and breast or bottle feeding. Your posture is important to your well being. If you had a Caesarean birth please wait at least six weeks to schedule your first post natal massage. A $25 non refundable upfront booking fee applies to secure your massage appointment – this fee is deducted from the balance of your massage or selected package on the day of your appointment. Our Gift Vouchers make an ideal gift. Spoil your special someone and give her a $50.00 or $100.00 massage voucher to Precious Previews.